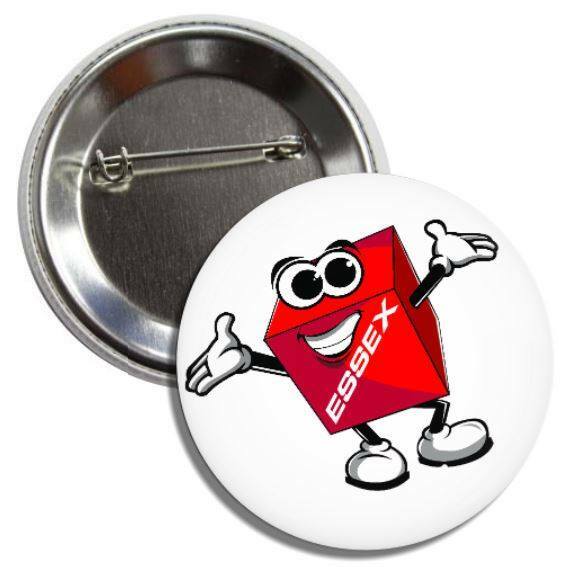 Stop by our information table in front of the Heritage Society Museum for a free “Cubey” pin – while supplies last! Essex Day will have a bright, shiny new face to show off when the 43rd annual community festival takes over Eastern Boulevard this fall. For the first time in the event’s history, organizers believe, Essex Day will be held on a Saturday, with longer hours, more entertainment and a day of the week that is hopefully more attractive to vendors, sponsors and attendees, according to Essex Day volunteer Brian Marchetti. The committee approached Rob Baier, president of Starleigh, to begin planning the entertainment. Baier, who was born and raised in Middle River, made the sponsorship offer unsolicited, Marchetti said. Baier, now 47, has come full circle as a co-owner – along with Gary Hutson – of the entertainment booking company that he used as a young performer. With Baier’s band, Kanye Twitty, already announced as a Starleigh Stage attraction, he shared with the Times the rest of the headliner bands for that stage: Red Dirt Revolution, Tripwire and Dean Crawford and the Dunn’s River Band. Baier said fair organizers approached him about booking his band and began a conversation that ended with the sponsorship offer. Marchetti estimates the value of the sponsorship to be in the $7,000 range. Starleigh, “the region’s most diversified provider of quality entertainment,” according to its website, is making a donation to Essex Day that will “essentially cover the costs of the bands, the sound system, the backline equipment and crew,” Marchetti said. Past festivals have had three stages: the main stage, a Christian music stage and a karaoke spot. Organizers will add a “homegrown” stage this year, with the hope of featuring local talent just getting started. While in the early stages of planning, Marchetti said organizers think the new stage will add tremendously to the fair’s entertainment offerings. The Saturday fair will have hours of 10 a.m. to 6 p.m., as opposed to the noon to 5 p.m. hours of past Sunday events, according to Marchetti, which will mean additional bands and attractions on all four stages. With the move to Saturday, Marchetti said the organizing committee is preparing to set up a fair infrastructure that will accommodate a significant increase in attendance. “With the move from Sunday to Saturday we won’t be competing with the Ravens, and we just think Saturday will work better for more vendors and attendees and be more convenient for businesses along the boulevard,” Marchetti said. The fair occupies Eastern Boulevard from Mace Avenue to Woodward Drive in the heart of downtown Essex. In addition to four stages of entertainment, the event will offer a kids’ area; costumed characters; arts and crafts; free tours of the Heritage Society of Essex and Middle River; novelty, sports and food vendors; carnival rides; nonprofit organizations; and local businesses. With just over two months until show time, organizers are busy recruiting sponsors, with a variety of financial levels available to suit both businesses and individuals, according to Marchetti. For the first time, an Essex Day T-shirt will be produced. The logos of all multi-level sponsors will be printed on the back, and all individual sponsors who contribute $25 will receive a free shirt, according to festival sponsorship publicity. All sponsorships are due by Aug. 15. For more information regarding sponsorship opportunities, call 443-579-4913 or email essexdayfestival@gmail.com. Marchetti said he and his five fellow committee members, led by President Paul Rufe, are looking forward to the new Essex Day and hope residents are pleased with the results. They hope the move to Saturday, the new partnership with Starleigh and expanded activities and fair-goer opportunities “bring new life to Essex Day” and put it on an upward trajectory for the future. The New Essex Day Festival Association is pleased to announce it has partnered with Starleigh Entertainment http://www.starleigh.com, who will sponsor the Main Stage and provide the musical acts for the 43rd Annual Essex Day Festival. 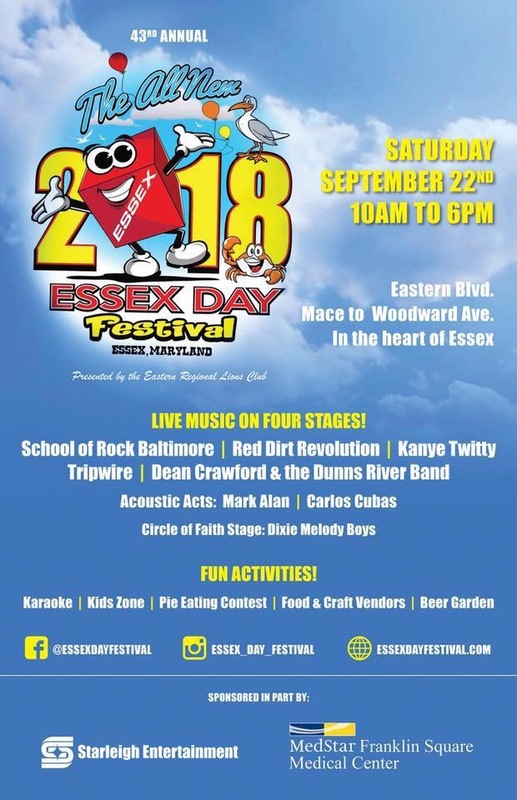 The popular rock/country/hip hop band Kanye Twitty is the first of Starleigh Entertainment’s acts to be confirmed for the Essex Day Festival, which will be held on Saturday, September 22 from 10 a.m. to 6 p.m. The Starleigh Entertainment Stage, formerly the Main Stage, will be located at Taylor Avenue and Eastern Boulevard. The Essex Day Festival, which runs along the Boulevard from Mace to Woodward Ave., will open with the Baltimore School of Rock at 10 a.m., followed by Opening Ceremonies at Noon. Other musical acts will be announced at a later date. Presented by the New Essex Day Festival Association, a 501(c) (3) nonprofit organization, the event will include entertainment on four stages, kiddie karaoke; a kids’ zone with children’s activities; costumed characters; free tours of the Heritage Society of Essex and Middle River Museum; arts and crafts, novelty, sports, and food vendors; nonprofit organizations; local businesses and more. This year, the festival has been moved from Sunday to Saturday to accommodate more vendors and a larger crowd. The Essex Day Festival is presented by The New Essex Day Festival Association, a 501(c) (3) nonprofit organization. Essex Day began in 1975 as “Super Sunday” with the purpose of raising funds for restoration of the historic Ballestone-Stansbury House. After the restoration was complete, the goal of Essex Day was to help showcase the businesses along Eastern Boulevard and now has become the staple of Essex. Every year, unpaid officials and volunteers of all ages help in making this event a success. For more information and updates on the festival, go to www.essexdayfestival.com or https://www.facebook.com/essexdayfestival/.